Are you enjoying all of the Papertrey Ink 11th Anniversary activities? 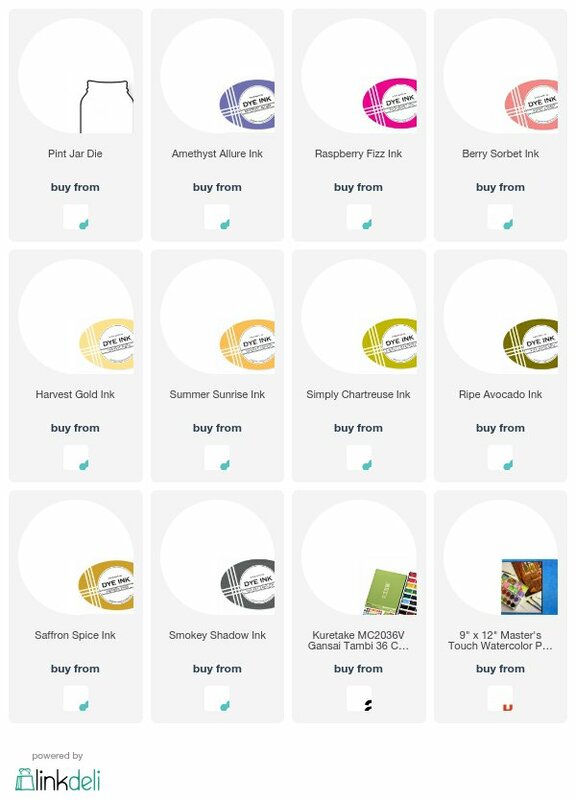 In case you've missed out on the first few days, you'll want to hop on over to the Papertrey Ink Blog and check out the awesome announcements and giveaways! As is tradition, each anniversary we reveal the Anniversary Stamp Set for the year. This set is one that's not available for purchase, except through reward points. Reward points are earned throughout the year on all of your purchases. The anniversary set costs 24 Reward Points, and will be available for "purchase" beginning at 10pm ET on February 15th, and will be available all year long. This year's set is pretty special, I think, (they all are, really...who are we kidding?) as it was a group effort by all of the product designers. It's called Mixed Bouquet, and each designer contributed a floral stem for the set. They can be used alone, or gathered into a big bunch for a pretty Papertrey bouquet! I stamped a few of the stems from the set and plopped them into a Pint Jar diecut. The jar was cut from watercolor paper. I'm kind of fascinated with the idea of painting something to look like glass, with all of the reflections and what not. This was a first attempt at that. Lots of room for improvement, but fun to try! I love all of the different stems...so fun to gather into a bouquet, and so many different possibilities! Thanks for stopping by today - we have so much more in store for the anniversary celebration! The project officially get rolling in just a couple of days!